Six years ago, Disney purchased Lucasfilm and brought a long dormant story back to life. Star Wars fans would finally get Episodes VII, VIII and IX after waiting 32 years following the conclusion of Return of the Jedi. Fans were ecstatic. Unfortunately, there was a second group of fans. Star Wars fans raised on the post-prequel cartoon series Clone Wars, which lost a proper ending following the Disney acquisition of Lucasfilm. 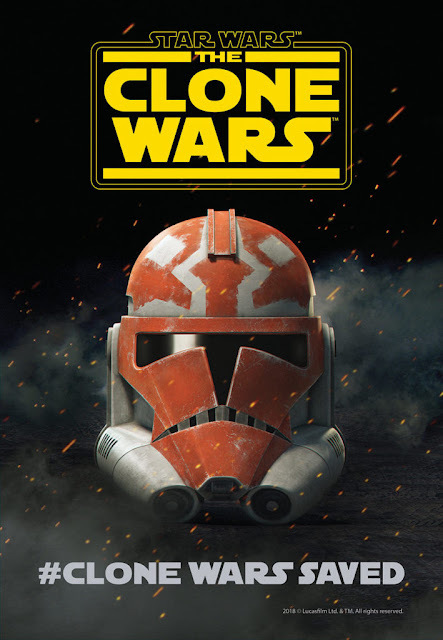 Following a ho-hum animated movie, Clone Wars ran on Cartoon Network for five seasons, filling in the gap between Attack of the Clones and Revenge of the Sith. During yesterday’s 10th Anniversary Celebration panel at San Diego Comic-Con, Executive Producer Dave Filoni and the original voice cast of the show came on stage to announce the unthinkable: Clone Wars is getting it’s ending. 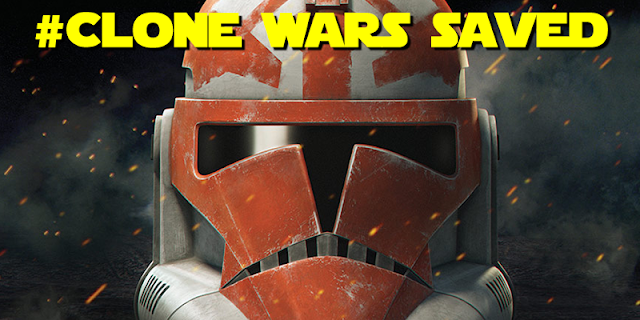 The final season of Clone Wars will be 12 episodes long. It will focus on a storyline called “The Siege of Mandalore,” which is one of the final battles the Jedi Order engage in before the Emperor issued Order 66. The fate of some characters is known based on other canon materials like Star Wars Rebels. There are still gaps to be filled. Maybe we will get answers to how Darth Maul ended up in control of Crimson Dawn? How did Rex and his crew ignore Order 66? Did Ahsoka steal an entire regiment of Clones when she left the Jedi Order? There is so much potential to wrap up a very important part of storytelling from a galaxy far far away. Season 6 of the Clone Wars will premiere on Disney’s as-of-yet unnamed streaming service in 2019, alongside Jon Favreau’s untitled live-action Star Wars series. If you want to watch the best of the best the original Clone Wars has to offer, visit clonewars.watch for a list of episodes to get the big story beats and skip all the Jar Jar non-sense. This article originally appeared on RoguesPortal.com.